We are glad to share with you a Canadian veteran’s story, which we received from a previous mayor of the Normandy village of Rots, Mr. Joël Aubin. 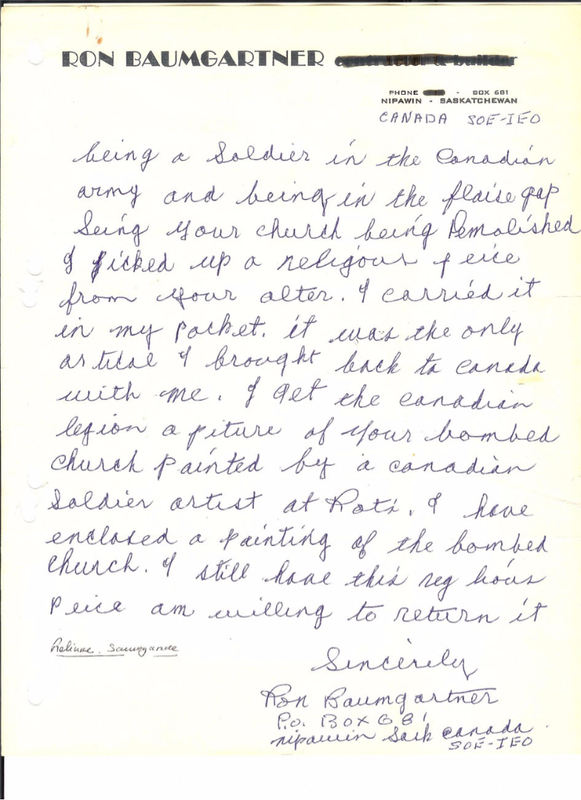 In 1990, Mr. Aubin received a letter from a Canadian veteran, Mr. Ron Baumgartner who explained that when he was a soldier and fought in the Falaise gap in 1944, he saw demolished the church of the village of Rots. 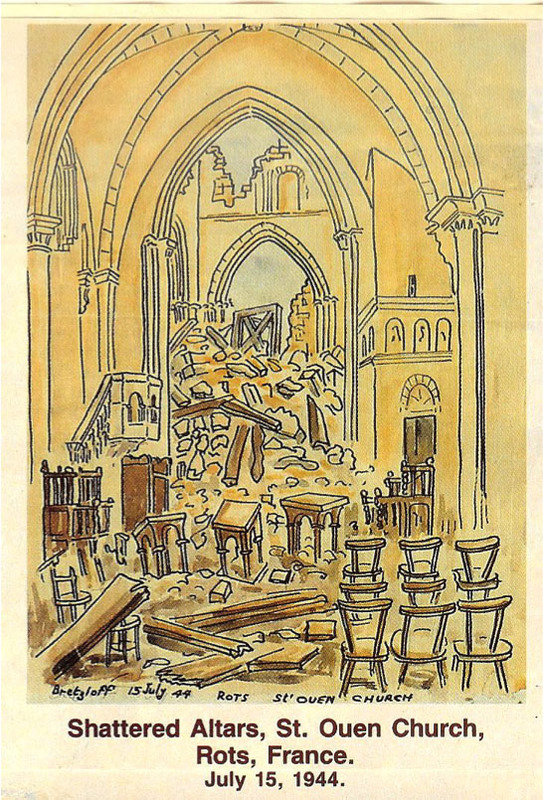 He took a religious image from the altar and always kept it in his pocket. It was the only thing he brought back with him in Canada. 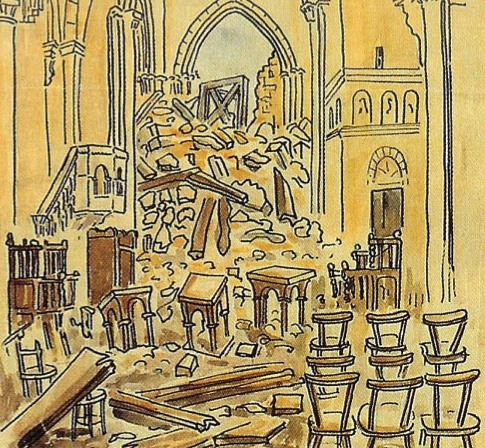 Later, he obtained from the Canadian Legion an illustration painted by a Canadian soldier showing the bombarded church in Rots. This image brought back many memories. 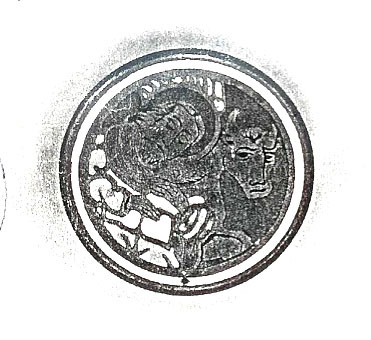 Years later, Ron Baumgartner sent to Mr. Joël Aubin a copy of the religious image he always kept with him and a copy of the painting.